In this week's Abundance Insider: NVIDIA's latest AI artist, Google's all-neural mobile speech recognizer, and a glimpse into Tokyo's tech for the 2020 Olympics. P.P.S. Join Peter Diamandis in Dubai, the City of the Future, for the inaugural Abundance 360 Dubai Summit on March 26 - 27, 2019. Hosted by the Dubai Future Foundation and the Crown Prince of Dubai, this two-day experience offers exponential leaders an immersive look into how technology will transform every industry. Read more about the program and apply here to join. What it is: A Harvard research team has achieved a major step in understanding how animals like lizards, worms, and jellyfish regenerate body parts. A few noteworthy results have come out of their investigation into how three-banded panther worms regenerate their entire bodies. The researchers found a “master control gene” called early growth response (EGR), which triggers changes in a complex system of 18,000 other genes during the regeneration process. Without the EGR gene turned ‘on,’ none of the other processes can happen. Humans express the EGR gene, too, and researchers know exactly how to control it. But the human version of EGR does not have the same switching effect that causes regeneration. Along with the fact that only 2 percent of our genome actively generates proteins, this study shows that the result of a specific genome depends on not only the code of the genome, but how that code is connected together. What it is: Earlier this week, NVIDIA revealed GauGAN, an early prototype of what TechCrunch hails the “MS Paint for the AI age.” Using a generative adversarial network (GAN) trained on 1 million Flickr images, GauGAN can create photorealistic images from just a few lines drawn by a user. As an example, a user could click on “tree,” draw a line, and GauGAN will create an image of a tree trunk. GauGAN can do the same for the sky, sea, rock, hills, wood, and other objects. NVIDIA built the software on its Tensor-based RDX Titan GPU platform to facilitate near-real-time results, but Bryan Catanzaro, VP of Applied Deep Learning Research, thought the platform could also run on standard CPUs with a slightly longer delay. While NVIDIA hasn’t announced plans for a commercial version, it will likely release a free trial version to facilitate public experimentation. What it is: Launching its new ThisAbles project, IKEA has joined forces with nonprofits Access Israel and Milbat to create a line of products that makes furniture accessible to populations with special needs and disabilities. Aiming to make mainstream furniture accessible to all, the joint enterprise has not only identified over 130 products already suited to accommodate users with a range of disabilities, but has designed numerous low-tech add-ons. Think: oversized lamp switches, accessible handles for shower curtains and drawers, or customized hooks and couch legs. Yet while these hacks are only displayed in Israeli IKEA stores, users can now download free blueprint models anywhere in the world to 3D-print add-ons independently and on-demand. 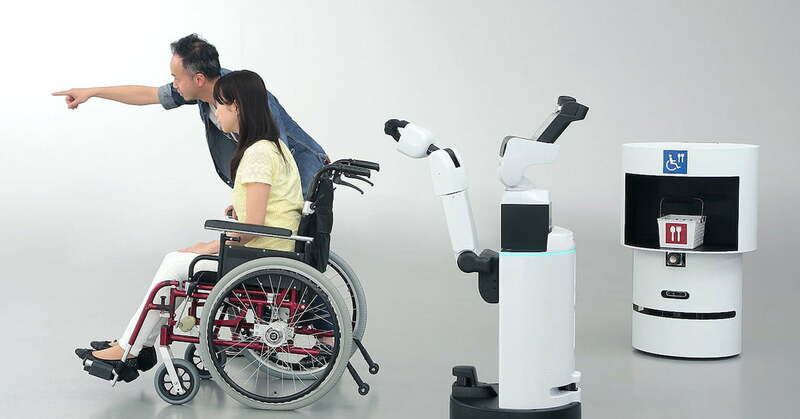 What it is: Against the backdrop of the Tokyo 2020 Olympics, tech giants including Toyota and Panasonic are working with the organizing committee to showcase a variety of exponential technologies, namely robotics. Toyota will use around 16 autonomous Human Support Robots and 10 Delivery Service Robots to assist spectators with directions, grabbing objects from the floor, or in delivering food. Panasonic plans to showcase about 20 of its power assist exoskeletons to help visitors with luggage and similar lifting tasks. Robotics firm ZMP is hard at work to deploy an autonomous taxi fleet to ferry athletes and spectators around the city. Finally, on the renewables front, NTT has nearly completed an effort to create all of the athletes’ medals from recycled e-waste. Further pilot projects in solar roads and parking lots are underway to help Tokyo meet its goal of powering the Games entirely from renewable sources. What it is: Google has just announced the roll-out of a novel breakthrough in speech recognition: its all-neural, on-device recognizer that will power speech input in Gboard. In a new feat for AI, the recognizer’s ML model is trained using RNN transducer (RNN-T). This technology works by continuously processing input samples (voice speech), and outputs symbols as you speak — in this case, characters of the alphabet. The real leap, however, has to do with the storage size required by Google's algorithms. While previous cloud-based speech processing took up 2GB of storage, Google has successfully shrunk its speech algorithm storage demands down to 80MB, rendering its recognizer small enough to fit on your smartphone, and work offline. 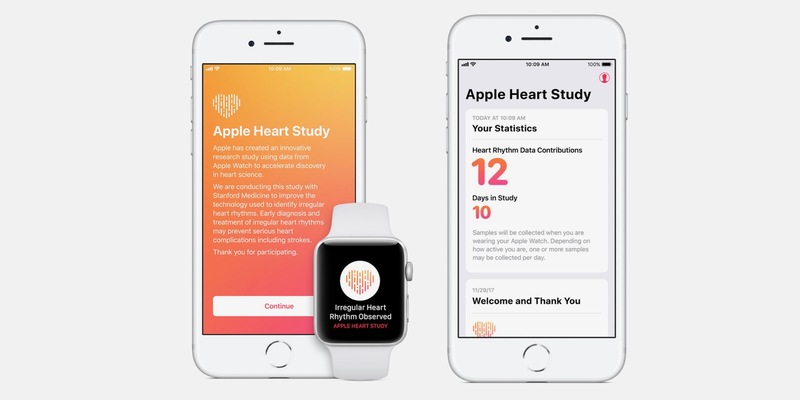 What it is: Researchers at Stanford Medicine recently revealed the results of a U.S. study of over 400,000 people in all 50 states to evaluate the Apple Watch’s ability to detect atrial fibrillation (AFib). Conducted in partnership with Apple, the eight-month study is the largest of its kind to ever be performed. The results: 0.5 percent of patients received notifications that something might be wrong, and 84 percent of these patients were in AFib at the time of the notification.